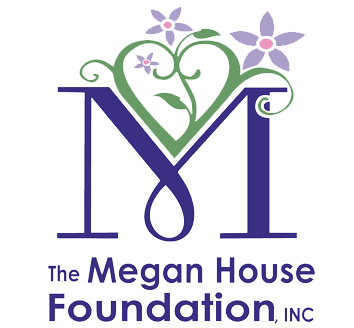 The Executive Director is the Chief Executive Officer of the Megan House Foundation, Inc. The Executive Director reports to the Board of Directors, and is responsible for the organization’s consistent achievement of its mission and financial objectives. The primary focus, emphasis and responsibility of the Executive Director will be fundraising, grant procurements and the development of a donor network to achieve the organization’s financial objectives and business expansion initiatives. 1. Directly supervise the Director of Programs and ensure compliance with all state, federal local agencies and funders. 2. Ensure programming maintains proper licensing and state contracts to operate without interruption. 3. Work with program staff to develop best practices and constantly strive for excellence in providing high quality programming for clients. 4. Directly oversee foundation staff. 5. Other duties as assigned by the Chairman and/or Board of Directors. 1. Assure that the organization has a long-range business and marketing strategy which achieves its mission, and toward which it makes consistent and timely progress. 2. Provide leadership in developing program, organizational and financial plans with the Board of Directors and staff, and carry out plans and policies authorized by the board. 3. Promote active and broad participation by volunteers in all areas of the organization’s work. 4. Maintain official records and documents, and ensure compliance with federal, state and local regulations. 5. Maintain a working knowledge of significant developments and trends in the field. 6. Work with the Program Director at each service enterprise as an advisor and provide guidance on program, human resource, development and operating matters. 1. See that the board is kept fully informed on the condition of the organization and all important factors influencing it. 2. Establish sound working relationships and cooperative arrangements with community groups and organizations. 3. Represent the programs point of view of the organization to agencies, organizations, and the general public. 4. Publicize the activities of the organization, its programs and goals. 5. Identify, assess, and inform the Board of Directors of internal and external issues that affect the organization. 6. Act as a professional advisor to the Board of Directors on all aspects of the organizations activities. 7. Act as a spokesperson for the organization. 8. Conduct official correspondence on behalf of the board as appropriate and jointly with the board when appropriate. 9. Communicate with stakeholders to keep them informed of the work of the organization and to identify changes in the community served by the organization. 1. Establish and expand local, regional and national revenue generating and fundraising activities to support existing program operations while simultaneously retiring building debt. a. Differentiate the organization’s services from their competitions. b. Increase donor, supporter and volunteer membership and continually increase outside participation in the organizations mission. c. Build partnerships in existing and new markets, establish relationship with funders, and political and community leaders in each market. d. Plan and coordinate existing fundraising events, activities and efforts in conformity with marketing objectives. e. Deepen and refine all aspects of communications-from web presence to external relations with the goal of creating a stronger brand. 3. Actively engage volunteers and fundraising committees to provide marketing, communication and advertising support of all fundraising activities. 4. Establish good working relationships and collaborative arrangements with community groups, funders. Politicians and other organizations to help achieve the goals of the organization. 5. Attend seminars, workshops and community outreach programs to stay current with marketing strategies. 6. Represent the organization at community activities to enhance the organization’s community profile. 7. Procure bids and engage social media or on-line marketing agencies to update relevant information and ensure all social media conforms with and enhances the organizations mission, marketing and fundraising objectives and provides resulting statistical data. 8. Maintain organization, donor and supporter records via Nation-Builder and establish protocols to ensure confidentiality. 9. Draft and communicate donation and supporter responses and maintain records of the same. 1. Be responsible for developing and maintaining sound financial practices. 2. Work with staff, Finance Committee, and the board in preparing a budget; see that the organization operates within budget guidelines. 3. Ensure that adequate funds are available to permit the organization to carry out its work. 4. Research funding sources, oversee the development of fund raising plans and write proposals to increase the funds of the organization. 5. Approve expenditures within the authority delegated by the board. 6. Ensure that sound bookkeeping procedures and accounting practices are followed. 7. Provide the board with comprehensive regular reports on the revenues and expenditure of the organization. 8. Ensure that the organization complies with all legislation covering taxation and withholding payments. 9. Administer the funds of the organization according to the approved budget and monitor the monthly cash flow of the organization. 10. Identify and evaluate the risks to the organization’s people (client’s, staff, management, and volunteers), property, finances, goodwill, and image and implement measures to control risks.